GMA Pinoy TV, joins Jessica Soho—widely regarded as the country’s most credible broadcast journalist—together with award-winning documentarists Kara David, Maki Pulido, and Atom Araullo as they present and seek answers to one of the most pressing issues of today in “Walang Unli-Rice: A GMA News and Public Affairs Special”. 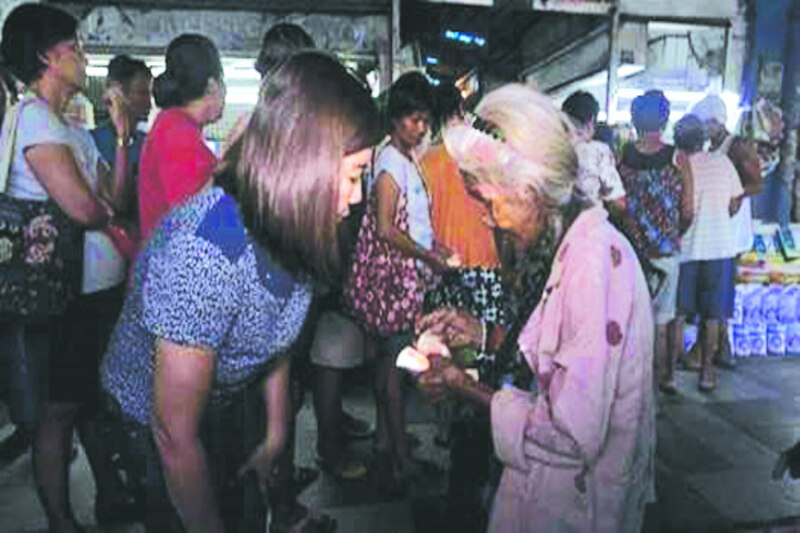 Long before daybreak, 81-yr old Antonia Alconis endures the long queue in Pasig Public Market to buy cheap NFA rice which is sold at P27 a kilo. She is just one of the over a hundred people in line. The situation is the same in many other public markets with people scrambling to purchase NFA rice. As the supply of NFA rice runs out in their warehouses, the price of commercial rice has also begun to soar. In Mindanao where poverty remains at alarming levels, rice is now considered a luxury. The family of Albasin and Norain Tanjilani, residents of an island part of Zamboanga now totally abstain from taking rice with their meals. They say it was in the month of June when they last ate a cup of rice. Back then, the price of rice was just at P30-40 per kilo but has since surged to P65-70 a kilo in their area. They now eat kamoteng kahoy instead of rice. “Walang Unli-Rice” aims to show the current plight of ordinary folk as they struggle to make ends meet amidst the high price of commodities, especially rice – the most important food for most Filipinos. Beyond the poorest of the poor, middle class households also feel the pinch with inflation at a 9-year high of 6.4% in August – with the price of rice is seen as one of the most essential inflation drivers. Apart from the consuming public, “Walang Unli-Rice” also tackles the issues concerning the farmers who toil in the rice fields. From the “Rice Granary” of the Philippines, the province of Nueva Ecija remains the country’s top rice producer. But despite their productive harvest lies the perennial problems that continue to beset the farmers. They do not have a farm land to call their own, remain indebted to their landlords and continue to farm with poor irrigation facilities and ancient farming techniques all of which contribute to low rice productivity. “Walang Unli-Rice” also examines the rice situation in Thailand, now the world’s 2nd largest rice exporter, whose farmers once gained knowledge by training at our own International Rice Research Institute. Kapuso viewers abroad can also catch “Walang Unli-Rice” on October 13 via GMA’s flagship international channel GMA Pinoy TV. For the program guide, visit www.gmapinoytv.com.